On Saturday we are looking forward to conquering our February DIY and Sunday we'll be making some good food and enjoying the big game. We've hosted Super Bowl parties a few times that have always been fun, but sometimes it's nice just to make our favorite apps, grab a pizza and relax just the two four of us. We're doing a big brunch with my parents that morning and Olivia's day is always made when Nana and Grandpa are involved. And because of all the snow we've gotten this week, some sledding may be in her future too. I've got a few Friday Favorites today to kick off your weekend! 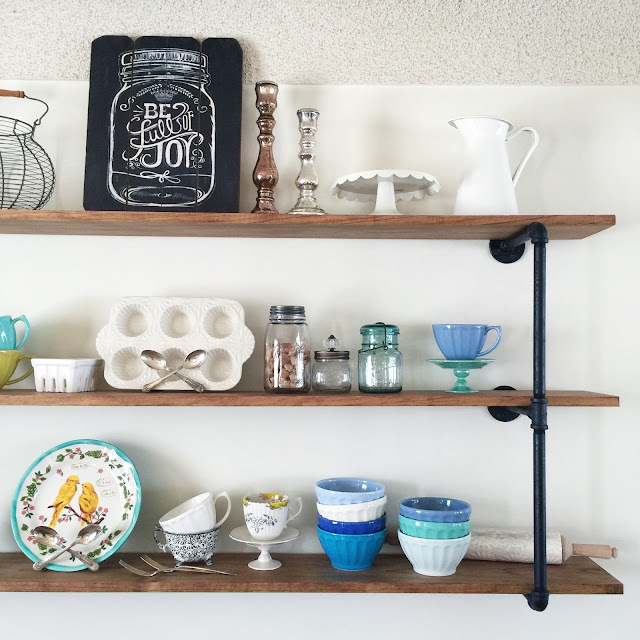 1 // One of the reasons I was so excited to build open shelving in our dining room a few weeks ago is that all the dishes I've been hoarding collecting over the last few years would finally be on display! My go-to everyday dishes are the latte bowls & mugs from Anthropologie. I love being able to choose whatever color I'm in the mood for that day and they're so fun to mix and match. 2 // I'm probably getting ahead of myself but I noticed Easter is way earlier than usual this year, in the end of March instead of mid-April. Because Poppy will be 6 months for her 1st Easter, I've been on the lookout for some fun things to put in her basket. I love these sleepy time stuffed animals by Maileg; they would also be perfect for a shower or new baby gift. And because I'm already on the topic of Easter, this darling egg hunt kit is the sweetest. I think it would be so much fun to set this up for Olivia in our backyard! 3 // With Poppy's big fluffy cheeks, putting her in bonnets has been one of my favorite things lately. 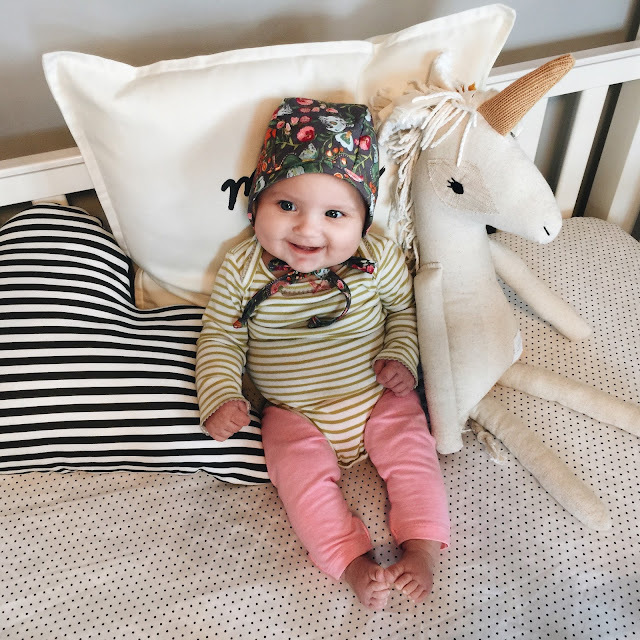 It's no secret that we are wild about floral around here & this Lyla bonnet is my absolute favorite. 4 // I can't help myself when it comes to a DIY wishlist. I seem to always have 5-10 in mind that I want to tackle alongside my hubby. He loves it because it's an excuse for him to bust out all his fancy carpentry tools that he often doesn't get to use when he's at work plumbing. These DIY wooden bins would be perfect for toy storage in our home or fun filled with stacks of blankets, quilts and stuffed animals. I also have a goal of making each of the girls a floral letter for their rooms this Spring. There are loads of tutorials on Pinterest and I just have to decide how I want them to look! 5 // Last but not least, I'm starting to think ahead to Olivia's 3rd birthday. Seriously, how did that happen?! I feel like just yesterday she was born! We decided on a donut themed party because they're her absolute favorite treat and I thought it would be so much fun to create invitations, use vintage cake stands filled with donuts and more. We don't do much for gifts and try to keep it super simple, but I recently came across this doll basket & bedding and am pretty sure she would adore it for her baby dolls.